Take a moment and think about why it's important to deliver safe care to patients. First and foremost, patients go to a healthcare provider expecting to receive treatment that hopefully improves their health. At a minimum, this experience shouldn't make their health worse. In recent years, patient safety has become even more important. Reimbursement is now directly tied to medical errors. Harm patients and watch insurers — federal and commercial — deny, adjust, or retract reimbursement. Poor patient satisfaction scores can lead to reimbursement penalties for some organizations. Healthcare review websites and social media provide platforms for patients to share stories about negative experiences and vent frustrations about care that failed to meet their expectations. These can influence where other patients choose to receive treatment. Word of patient harm travels quickly, sometimes picked up by local media and even national media, if the incident is severe enough. These factors should serve as compelling reasons for healthcare organizations to prioritize efforts to improve their delivery of safe, high-quality care. The analysis that follows in this guide provides extensive guidance on patient safety. Hopefully the insight and resources shared will help your organization elevate its performance. It’s crucial for healthcare providers to put themselves in their patients' shoes. Imagine how patients feel arriving at a hospital they didn’t choose while also feeling anxious about the reason they are there: a problem with their health. An even greater concern is the fear that the care they receive will not help them but make matters worse. As a U.S. Senate committee hearing highlighted, more than 1,000 people die every day due to a preventable error. The problem goes beyond any individual healthcare provider, but rather exists throughout the healthcare system. What does all this mean for your organization or facility? It’s essential to prioritize and create a culture of patient safety. Creating such a culture must start at the top. Hospital leadership should not only implement policies and procedures that promote patient safety, but also focus on creating an environment where patient safety is embraced throughout the organization. To be successful, any good patient safety initiative needs to begin with well-defined goals. If you’re not quite sure where to begin, consider reviewing the Joint Commission’s 2018 National Patient Safety Goals. Ultimately, a patient safety initiative is designed to improve patient safety by focusing on problems in the delivery of safe care and their solutions. By setting measurable and attainable goals, hospitals can lower their 30-day readmission rate, increase employee morale, and forge a name for themselves as world-class institutions in healthcare. Most importantly, population health will improve and more lives will be saved as a result. As we touched on in the previous section, developing patient safety goals is critical to reducing readmission rates and improving organization-wide patient safety. To further explore the best way to develop goals for your healthcare organization, review the Joint Commission’s National Patient Safety Goals for 2018. 1. Identify Patients Correctly — This goal necessitates clear communication, which allows for doctors to provide the correct medications and treatment. 2. Improve Staff Communication — By implementing this goal, you will help improve compliance with many of the other advised goals. 3. Use Medicines Safely — A few ways to work toward achieving this goal include proper labeling of medicines and paying attention to which medicines your patients are taking. Improve your organization's efforts to meet the remaining goals' requirements through new directives and enhanced guidelines. Involve all individuals within your organization who play a role in helping meet these goals to identify improvement opportunities and better ensure buy-in and compliance with any process, policy, and/or procedure changes. By following and implementing NPSGs and any other goals for your facility, you’ll achieve a stronger flow of information and enhanced patient safety. There are numerous causes of patient safety issues in hospitals. In fact, even seemingly small mistakes can put patients at risk: a medical record missing a medication, a misunderstanding about an allergy, a discharge instruction sheet not available in Spanish. Below is a brief overview of 10 top patient safety issues for healthcare organizations in 2018, as identified by the ECRI Institute, and how miscommunication or a lack of information cause them. Note: You can review each one in greater depth here. Diagnostic Issues – Often caused by poor communication or care coordination, which can be affected by delayed updates to current IT solutions. Opioid Safety Across the Continuation of Care – One of the biggest risks to patient safety in this area is that other medications must be considered when prescribing opioids. The consequences of combining them with some medications can prove fatal. Providers often have an incomplete picture of a patient’s full medication history, which can exacerbate this already serious issue. Internal Care Coordination – While there are many parts of care coordination to consider, one element worth paying particularly close attention to is patient hand-offs. Incomplete or inaccurate information is often shared because of unintentional human errors. Workarounds – When policies and procedures are not properly defined and caregivers do not know what is expected of them, this encourages staff to determine their own solutions to problems and what steps they should take. This can increase the likelihood for error in the care a patient receives. Incorporating Health IT into Patient Safety Programs – While using health IT is generally a good idea, no solution is perfect, and each can bring its own set of challenges, from poor implementation to insufficient training. Organizations need to clearly define IT guidelines and procedures so clinicians know what is expected for documenting patient data in these solutions. Management of Behavioral Health Needs in Acute Care Settings – Since staff in acute care settings rarely have the knowledge or training to handle behavioral health, there a couple of options available to improve this issue: invest in more behavioral health resources and/or consider psychiatric conditions when setting up safe rooms in your emergency department. All-Hazards Emergency Preparedness – Ensuring your facility is prepared for disaster is largely related to communication. Train your staff to be prepared for the many types of natural and man-made hazards your organization may face. Device Cleaning, Disinfection, and Sterilization – During their use on patients, reusable devices become contaminated with microorganisms. Improper device cleaning, disinfection, and sterilization can cause harm to patients. Staff who play any role in these processes must receive proper training and regular re-training on your organization's policies and procedures. Patient Engagement and Health Literacy – Involving patients in their own care is a crucial part of ensuring you have the most accurate information possible. By explaining the importance of the data you collect from patients, you’ll better ensure they understand the need to provide the most accurate information about their health and medications. Leadership Engagement in Patient Safety – As mentioned previously, patient safety starts at the top of any healthcare organization. It’s crucial to set a standard for and reinforce the safety culture you want in your facility. A few patient care issues that commonly occur in hospitals include lack of electronic health records (EHR) interoperability, hand hygiene, adverse drug events (ADEs), nurse-patient ratios, and physician burnout. When EHRs cannot effectively communicate and share data with other systems, patient care can suffer. Risk is magnified when providers only have a short period of time to find critical patient information. For example, when physicians lack the latest medication reconciliation information, they may prescribe something that will interact negatively with another medication that they are not aware of. Hand hygiene is a simple but crucial part of patient care. And yet the Centers for Disease Control and Prevention (CDC) notes that, on average, healthcare providers clean their hands less than half of the times they should. This contributes to the one in 25 hospital patients who are affected by healthcare-associated infections every day. CDC's resource guide provides effective techniques for patients and providers to help ensure that hand hygiene protocols are properly followed. With the current nursing shortage and many hospitals facing tighter budgets, nurse-patient ratios may be maintained at an unsafe level. If one nurse is expected to care for too many patients, there is an increased risk for injury or other problems. According to Medscape’s most recent annual physician survey, 42% of physicians said they are experiencing symptoms of burnout. Another 15% reported feeling depressed. These sentiments are attributable to challenges such as daily administrative burdens, increasing desk work, obtaining pre-authorizations, and handling insurance company issues. Nurses play an essential role in helping ensure patients receive safe care, but they also face many challenges in achieving this objective. Here are four major patient safety issues tied to nursing that can arise and lead to medication and clinical errors. Nurse Shortages – Due to the current rate of nurses retiring or changing careers, in addition to fewer nurses entering the workforce, the current shortage is worsening. A shortage of nurses can jeopardize patient safety when organizations lack adequate staff to effectively meet patient needs. Nurse-Patient Ratios – In addition to the nursing shortage, many hospitals are facing tighter budgets and decreased reimbursement. When organizations are compelled to cut costs, this can result in nurse-to-patient ratios being pushed to unsafe levels as individual nurses are assigned an increased number of patients. This is becoming a problem for patient safety, which has motivated a push for legislation addressing safe staffing. As of 2018, 14 states have instituted laws that address safe staffing. Unfortunately, they do not address requirements for nurse-to-patient ratios. Burnout – A majority of nurses have expressed feelings of burnout, specifically feeling overworked, feeling there is too much paperwork, and a general lack of job enjoyment. When nurses aren’t working at their full capacity, patient safety, patient satisfaction, and quality of care can suffer. Handoffs and Communication Breakdowns – The process of passing patient-specific information from one caregiver to another is a crucial step for ensuring patient safety. Nurses are typically an integral part of this process but are susceptible to communication failures. Without crucial information about a patient’s care, errors can be made. For organizations to better help ensure patient safety, continual review of the factors that contribute to its failure is essential. Now that we’ve reviewed some of the major patient safety issues facing nursing, let’s explore nurses’ roles in patient safety and how to empower them by providing the appropriate tools and support. Here are a few areas to consider focusing on so that nurses have the support they need to fulfill their roles in your facility. “Wrong site, wrong procedure, wrong patient” errors – According to the Institute of Medicine’s To Err is Human report, many hospitals could not function properly, as far as safety and quality care, without nurses. Nurses are an essential “second pair of eyes” who support physicians and the rest of the care team. 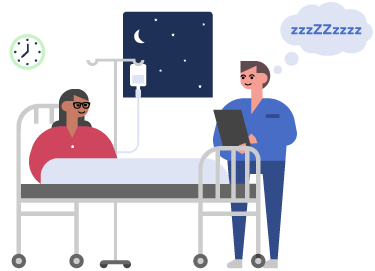 By empowering nurses to speak up whenever they have concerns about how treatment is planned or delivered, this can help reduce avoidable errors like wrong site, wrong procedure, and wrong patient. Medication mistakes – Whether in a hospital setting or within a doctor’s office, nurses play a vital role in medication management. Organizations should provide nurses with the resources necessary to perform their medication-related responsibilities. Such resources include adequate training, “quiet” stations, and education on new medications. Patient education concerning medications – Nurses are often in the best position to explain proper medication usage and adherence to patients and motivate them to pick up, refill, and take their medications. Communication training can help nurses in these areas. Patient falls – Nurses should receive appropriate training on how to take precautions that reduce the risk of falls for ambulating patients. Nurses should also be encouraged to be on the lookout for potential hazards and assist with providing tips to patients for home care. Monitoring patient deterioration – Since physicians can’t be in two places at once, nurses can be tasked with helping identify potential problems for patients following treatment. In an emergency situation, emergency medical technicians (EMTs) and physicians must act quickly to determine how they can best help the patient. However, without critical medication information, a decision to treat a patient could become fatal if the clinician is unaware of the patient's current medications. While a medical ID may sometimes be present for those with a chronic condition, as few as 10 percent of the population who should wear a medical ID actually do. An electronic health record can show partial patient information, but it often lacks a patient's current and complete mediation history. Even if medications are listed, there’s no way of knowing if the patient is taking them as prescribed. What’s needed for patient safety in an emergency? 1. Access to Essential Medication Information — With the challenge many doctors have of getting the correct medication information, they may need to obtain information over the phone or by fax, which can prove problematic depending upon where treatment is provided and availability of communication tools. An EMT or doctor must know within minutes which prescriptions the patient is taking. 2. 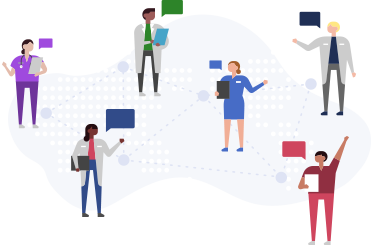 Access for Multiple Medical Professionals — The ability for many medical professionals in different settings to receive and review consistent patient information is crucial. 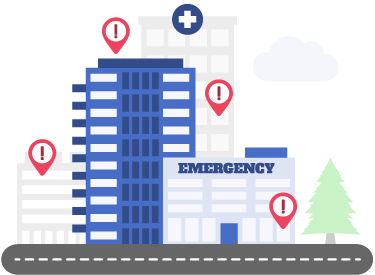 Whether maintained through an app or other IT solution, this information should be updated as soon as the patient receives emergency care, whether that is on an ambulance or in the emergency room. If this information isn’t readily available, time may be lost in trying to track it down, particularly if the patient is unable to answer questions and provide current health details. 3. Decisions Based on Trustworthy Information — It’s vital that the patient’s information is reliable. While a list of medications might be available, without knowing whether these medications are filled and taken regularly, a medical professional cannot make an accurate decision for the patient’s care. For example, approximately, 50% of patients don’t take their medications for chronic diseases. Patient safety training can help prevent a multitude of risks, from medication errors to wrong-site surgery. If you want to improve your patient safety training, consider these five steps. Learn from mistakes – When there is an incident in your facility, follow up on it. Determine its root cause and train your staff accordingly so that you can help avoid the same mistake in the future. 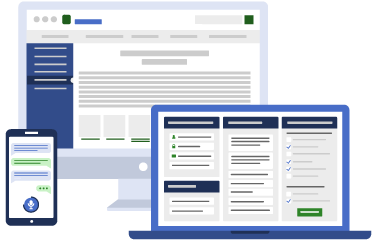 Develop a reporting system – Through an up-to-date reporting system, staff can be encouraged to share when incidents occur or concerns about potential risks. Use simulation-based training – This type of training offers a hands-on approach for staff to put their training into practice. Take advantage of available resources – Supplementing training with additional resources is an effective way to reinforce patient safety information. There are numerous paid and free resources available. Encourage sharing of information – Whether it’s across departments or organizations, sharing essential information about patients can improve their overall care. The key is that training shouldn’t be a one-time event. Make sure you’re continuously educating and updating staff on policies and procedures concerning patient safety in your facility. Taking steps to improve patient safety also benefits patient satisfaction. While your facility might have several initiatives to improve patient satisfaction, it’s vital to keep patient safety as a priority. There are a few essential goals you can focus on to improve patient safety performance. 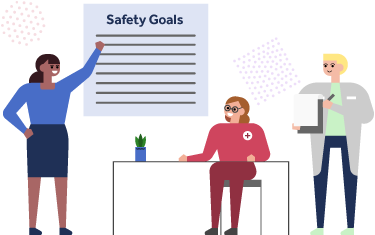 Prioritize culture – According to the Agency for Healthcare Research and Quality, poor perceived safety culture has been linked to increased error rates. To help facilities assess how their staff perceive the different aspects of patient safety culture, surveys can be a helpful tool in this process. Accommodate diversity – To better meet the needs of all patients, facilities should ensure they are prepared to provide interpreters for those with limited English proficiency (LEP) and train staff about what to do when working with LEP patients. Invest in technology – The right technology can be an effective way to help ensure patient safety and satisfaction in your facility. This might include clinical event notifications, infection prevention technologies, task management systems, and medication management solutions. Prioritize communication – As mentioned throughout this guide, communication is crucial to successfully improving patient satisfaction and safety. One area often vulnerable to miscommunication is patient hand-offs. With many tools available to assist in this area, consider looking at "8 tips for high-quality hand-offs" and curriculum materials for I-PASS. Improved engagement can directly affect patients' safety and satisfaction. Positive outcomes often come from times when patients and their family members are encouraged to play a critical role in supporting safety throughout their treatment. 1. Prioritize communication – Adverse outcomes in patient care often occur due to lack of communication or miscommunication. It’s essential that healthcare providers effectively communicate the role that patients and their families should play to help ensure care is successful. 2. Improve patient participation – Organizations can encourage patients to take an active role in their own safety. This can be accomplished by educating patients about safety hazards and providing them with questions they can ask their caregivers throughout treatment. Another approach to consider is requiring that patients watch a safety video upon admittance. If you choose to do so, make sure the video is available in multiple languages to help ensure that patients from many backgrounds can understand the information presented. 3. Rely on patient surveys – These can serve as a powerful tool to detect errors in the provision of care. Carefully reviewing the information you receive will help you act on any concerning information. One of the major impediments of patient safety is a culture lacking a focus on safety. Improving such a culture may require efforts such as organizational commitment, desire to change, and willingness to invest in equipment and facility improvements — however costly they may be. Let’s explore five cultural imperatives that hospitals must address in order to create a patient safety model that prevents errors. To create a true model of patient safety in an organization, leadership must be committed to visibly supporting its value and importance while providing funding for long-term success. Approximately six out of seven hospital-based errors, accidents, and other adverse events go unreported. One of the top reasons why: fear of retribution that can lead to disciplinary action, reputational damage, or job loss. It might seem obvious that you want everyone in your organization on board with always ensuring patient safety, but this may be easier said than done. From new employee orientation to making it an integral part of each employee’s responsibility, be sure that a patient safety model is upheld in every department, at all times. With strain on staffing in many organizations, providers must often care for a higher patient load with fewer staff. This becomes more difficult as fatigue sets in and providers take on greater responsibility for more patients than they are used to. This is when errors are more likely to occur. Hospital leaders must ensure their organizations have appropriate staffing to handle patients. Coming up short in this area can directly affect patient safety. Hospital leaders must ensure that when a review is conducted following errors, assessments go deep enough so the staff can learn from what occurred and work to avoid repeating the mistake. It’s also important that organizations don’t focus on “who did it” but rather ensure that failures are reported and analyzed, and new processes are implemented and tested to avoid problems in the future. Did you know that more than 250,000 deaths every year are attributable to medical error? Knowing a statistic like this one, it is crucial for patient safety to be a top priority for providers. Patient data can be particularly useful for informing decisions related to patient safety. Here are a few ways to improve the patient data captured by your organization. It’s crucial that you’re able to obtain as complete and accurate patient information as possible. Patients who come to your organization may have barriers to effective information sharing related to education, literacy, language, and culture. When you encounter obstacles with obtaining patient data, make sure that you learn from these challenges and develop processes to avoid similar issues in the future. Organizations have many options for choosing the right technology to help them with patient data. Whether you utilize an EHR, secure messaging, and/or care transition and medication reconciliation platforms, what ultimately matters is your ability to effectively capture the data your organization needs to effectively and safely treat patients. Technology should have the ability to effectively communicate with other technology. Your staff should also be properly trained on any technology they will be expected to use. If patients will be using a solution, they should be trained on it as well. 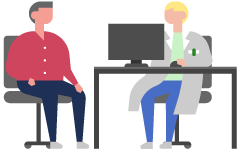 Engaging with patients can help ensure that you’re receiving the most accurate and complete information from them. Educate patients about the data you capture and its importance to their care. It’s also critical to make conversations with patients about their information comfortable so that the interaction feels more like a discussion rather than many one-way questions. An electronic medical record, or EMR, can play a key role in quality of care. However, if your EMR misses the mark, it may make ensuring patient safety more difficult. Interoperability — When information is entered correctly, data in an EMR can provide organizations with a reliable summary of everything they must know about patients. If the EMR is unable to communicate with another system containing important patient data, this might result in missing data. Typical areas that tend to lack complete information include medications, allergies, labs, and problem lists. 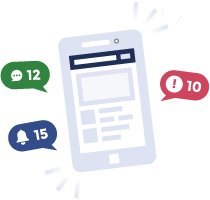 Alerts – The use of clinician alerts can have both a positive and negative effect on patient safety. On the positive side, clinicians can receive information about drug-allergy, drug-drug, and drug-disease risks. On the negative side, if there are too many alerts, clinicians may experience alert fatigue. When this happens, important messages may be missed. Communications – While many EMRs include direct email or messaging systems, these communications are sometimes unreliable. When these messages present unclear or incomplete information, this can have a direct, negative impact on care quality. Patient Interaction – Due to reliance on EMRs, interactions between patients and physicians can become less personal. Since a clinician is often staring at a screen when asking a patient questions and documenting responses, the patient experience may be compromised. It’s important to consider user-friendly systems that support better patient and clinician interaction. Now that we’ve covered a number of issues concerning patient safety, the importance of training, patient satisfaction, and patient data, we'll now discuss tools that can be helpful for improving patient outcomes. Let’s explore four such tools that can be useful for better care coordination. When information is poorly shared between providers, physicians may not know when their patients end up in the emergency room, for example. 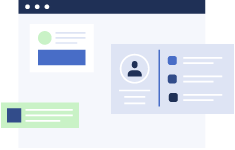 A CEN service typically includes features such as a patient roster of all individuals whose care events will be monitored, trigger events, content to be delivered in a notification, a delivery mechanism, and a recipient. Inspired by checklists that airline pilots use to perform their jobs safely and successfully, Atul Gawande, MD, MPH, surgeon, writer, public researcher and now CEO of the new healthcare venture between Amazon, J.P. Morgan, and Berkshire Hathaway, saw an opportunity for checklists to be used similarly in healthcare. 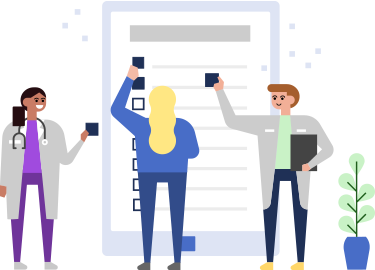 Checklists can help organizations ensure that patients go where and when they need to so as to continue on their proper treatment path while also enhancing standardization and streamlining of care. These tools can be crucial for helping clinicians electronically monitor tasks critical to successful treatment, replacing less efficient effective forms of communication such as emails, text messages, and verbal statements. 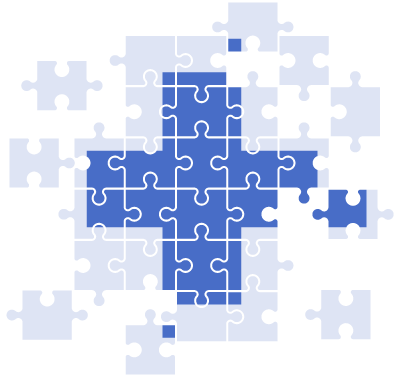 Other functions often included in task management solutions are the ability to set recurring tasks and real-time reminders; trigger new tasks following completion of a task; receive notifications when a task is not completed by its assigned date and/or time; attach documents, such as lab results and medication lists; and import patient information from EHRs. Individuals in these roles serve a crucial purpose in helping patients traverse the complex healthcare system. Nurse navigators are most commonly known for aiding oncology patients. Navigator responsibilities may include arranging psychosocial support, assisting with treatment decision making, assisting with or making referrals regarding insurance issues, arranging transportation, coordinating and/or documenting tumor board case discussions, coordinating support services, and tracking interventions and outcomes. As you take steps to improve patient outcomes through better care coordination and patient safety, how do you know if your efforts are making a difference? 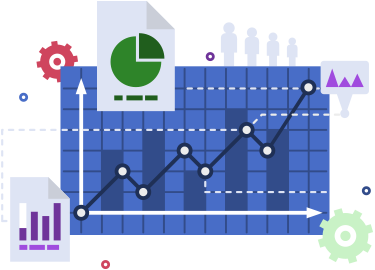 While key performance indicators (KPIs) should not be viewed as a direct indicator of quality, they can help serve as benchmarks to identify opportunities for improvement. Here are four key performance indicators to measure to help determine if patient outcomes are improving. Reducing hospital readmissions took on a greater priority when, in 2013, the Hospital Readmission Reduction Program (HRRP) went into effect and began fining hospitals if their rate was above the national average. High readmission rates can be an issue because they suggest that there might be procedural gaps in patient care. To more effectively address readmission rates, you must also address other related KPIs, such as the number of patients that individually have a high readmission rate and patients presenting with chronic conditions. In a 2017 study published in the Journal of the American Pharmacists Association, it was revealed that 26% of readmissions were medication related and therefore potentially preventable. In addition, 20% of patients who were rated as “low” or “intermediate” for medication adherence are readmitted within 30 days. Complying with The Joint Commission's National Patient Safety Goals can assist with monitoring adherence and reduce medication errors. While the number of HAIs have been reduced nationally, there is still room for improvement. Decreasing the risk of HAIs begins with improving the percentage of caregivers who sanitize their hands before each patient encounter. In addition to hand hygiene, The Joint Commission's National Patient Safety Goals also emphasize sterilization of equipment and other safety best practices. 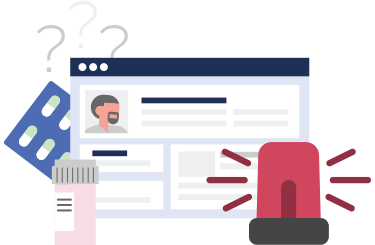 Patient identification errors can disrupt care and harm patients. The Joint Commission's National Patient Safety Goals include the proper identification of patients as a primary directive, requiring two methods to ensure each team member has confidence that they are treating the correct patient. The solution for patient identification issues includes requesting two identifiers, such as name and birth date, when taking routine vital signs or administering medications. Proper procedures that meet compliance, supported by measurements and evaluations of your team’s performance, will be crucial to improving patient outcomes and reducing readmissions. This guide has touched on some of the most significant issues concerning the delivery of safe care and aimed to provide helpful guidance organizations can use to improve safety for their patients. We hope that what you have learned motivates you to pursue positive changes in how your organization approaches patient safety and measures its performance in this area. 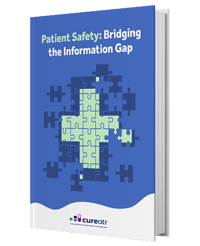 More importantly, we hope that this guide represents one more arrow in your organization's quiver of patient safety tools — a quiver that you should work to constantly draw from and expand. Efforts to improve patient safety must be ongoing as challenges organizations face are constantly changing. On any day, your staff may encounter a disaster, new medication, absent team member, technology malfunction … the list goes on. And each of these occurrences can present new hindrances to safety. Focus on eliminating the possible safety mistakes and obstacles your organization faces today and preparing your organization for the safety surprises that may come tomorrow. This is how you will put your staff in the best position to deliver the treatment patients expect — and deserve — when they walk through your doors. For additional inspiration, check out how these five organizations are providing safe, quality patient care here.